Day-Of Coordinator Vs. Wedding Planner: Which is Right for You? Overwhelmed? Overstressed? It may be time to call in a pro. We break down the most common planning options to help you determine the best fit for your budget and needs. Best for: Those who want to be involved in planning all the details of their wedding, but don’t want to spend their wedding day stressing and chasing after vendors. What they do: Day-of coordination is a bit of a misnomer; even the best of planners can’t show up on the day of the ceremony and whip a disorganized wedding into shape. A better name might be month-of coordinator or wedding manager – as it's sometimes termed. Prior to the wedding, a coordinator will look over contracts and create a detailed timeline, which he or she will share with the vendors. The coordinator will also run the rehearsal, looking for any last-minute issues or kinks that need to be resolved. On the day of the wedding, he or she will supervise vendor arrival times and ensure the space is set up to specifications, deal with any emergencies, and act as a liaison between the vendors. Think of coordinators as a bride's saving grace: keepers of the timeline who make sure each aspect of the wedding is on track. Best for: Those who want to do most of the planning themselves but require additional guidance and support. What they do: Partial planners provide all of the services of a day-of coordinator, plus additional hourly consultation depending on the couple’s needs. That might include meeting with vendors, streamlining the decorations, or organizing the dance floor and table layout. Best for: Those who want assistance selecting venues and vendors, or someone to keep track of contracts and coordinate all the moving pieces. 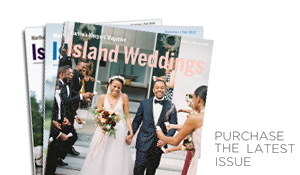 This option is especially well matched for those planning a destination wedding, who may be unable to meet with vendors in person, who are unfamiliar with the Island's offerings, or want someone to provide style and design expertise. What they do: Full-service wedding planners can (and sometimes do) handle it all. They work with clients to set a comprehensive budget, and create a master plan that encapsulates the couple’s preferred theme and décor. The planner will often suggest vendors that align with the couple’s style and budget, and attend meetings to create a cohesive, personalized aesthetic – coordinating with the florist, for instance, or working with rental companies to find unusual pieces that will make the tablescape stand out. Planners also keep track of all contracts, establish detailed timelines, perform day-of coordinator duties, and, depending on the client's needs, book lodging for guests or coordinate travel. Cost: $7,000 to $12,000 or a percentage of the total wedding budget (typically 10 to 15 percent).